Product Description- This moisture rich formula soothes and conditions lips, keeping them soft and supple. SPF 15 protects from harmful effects of sun. Light, non greasy formula, provides long lasting moisture, leaving the lips supple and hydrated. Key Ingredients- Cherry Extract, Castor Oil, Cocoa Butter, Shea Butter, Octyl Methoxycinnamate, Zinc Oxide, Dimethicon. 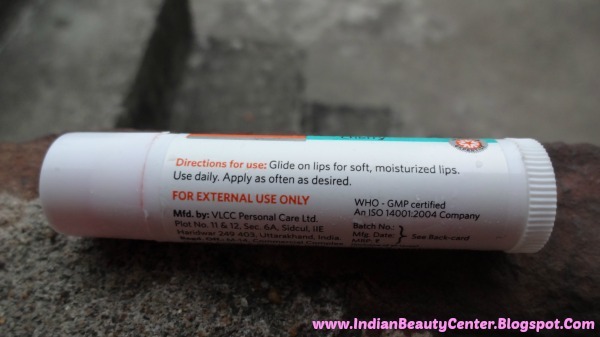 Directions for use- Glide on lips for soft, moisturized lips. Use daily. Apply as often as desired. Fragrance- It has a soft, fruity cherry-licious fragrance. I loved the fragrance and I am sure most of you will like it. The fragrance is not overpowering and is almost mild. 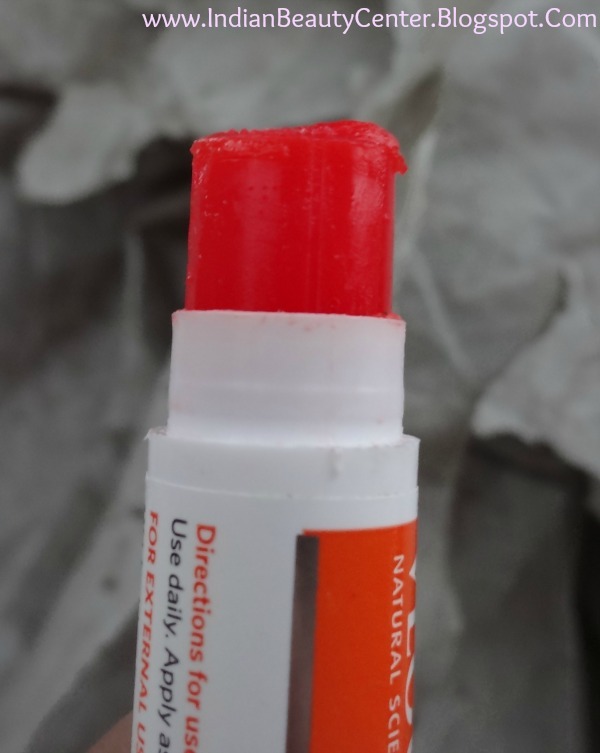 This lip balm is too soft and melts down quickly due to heat. So, I always keep it refrigerated. The cap of this one is tight but what is the use of a travel friendly packaging if you can't carry this out with you during summers? I am sure you can see how pieces of the lip balm get stuck onto the cap due to its softness. 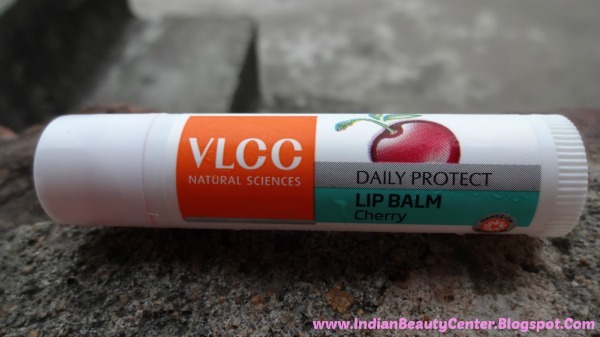 Even then, this lip balm provides decent moisture and keeps the lips soft and supple. Do not expect miracles, though. Final Verdict- Overall, at this price, this is a decent lip balm. I wish it was not so soft, though. I mean, I don't like messy lip balms at all. However, if you want to try out a budget friendly, tinted lip balm that moisturizes the lips instantly, you got to get this one! I find my Maybelline Baby Lips Berry Crush better than this, though! You can also try Maybelline Lip Smooth Color Bloom Peach Blossom. Awesome review n lovely color.... I have tried vlcc foot glow kit n loved it . Would try more of their products. 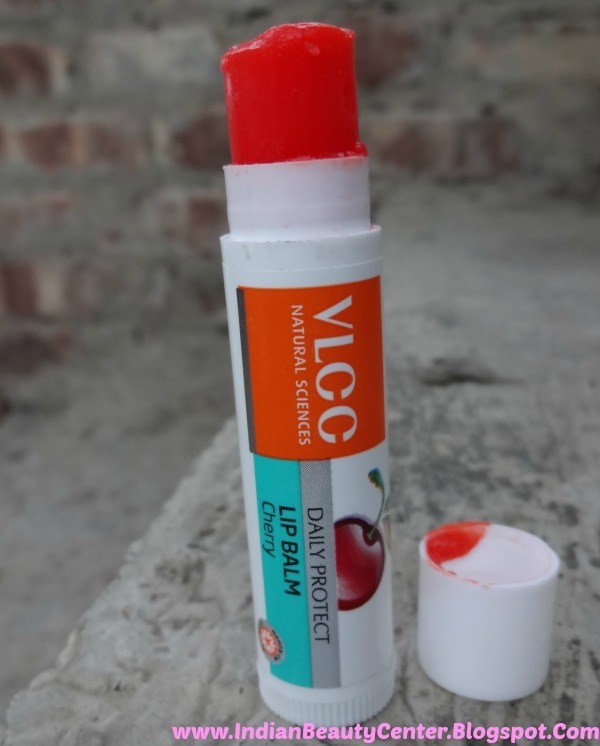 This one would really melt in the summers...I havn't tried VLCC balms yet but for they seem to be a good budget buy if you don't hav very dry lips! I have tried it and it's a decent lip balm. Loved your review Arpita. Lovely review Arpi <3 I may skip this as you have already mentioned that it will melt down easily especially in summers.